Especially not the ones from RUF|Betten. When we talk about the quality of your sleeping comfort at RUF|Betten, we mean the quality of your bed or sleeping system. And that results from the optimal alignment of mattress with box spring divan base or mattress with spring wood frame. Both system components work together for your reviving sleep. The quality of your bed system – and therefore the quality of your sleep – begins with the box spring mattress or upholstered bed mattress. A crucial factor is the optimal pressure distribution of your body weight. Mattresses by RUF|Betten do exactly what makes a first-class mattress: They anatomically adapt to your body shape, provide relief for your vertebrae, and hold it in its natural form. This is how you can enjoy a relaxing and reviving sleep night after night. The best conditions for a successful start to the day. Do you wish you could sleep at home like in a luxury hotel? Our box spring mattresses are perfectly aligned with your preferred base, slip-proof, and they offer you ultra-comfortable sleeping comfort. All our box spring mattresses are quality products and LGA tested. 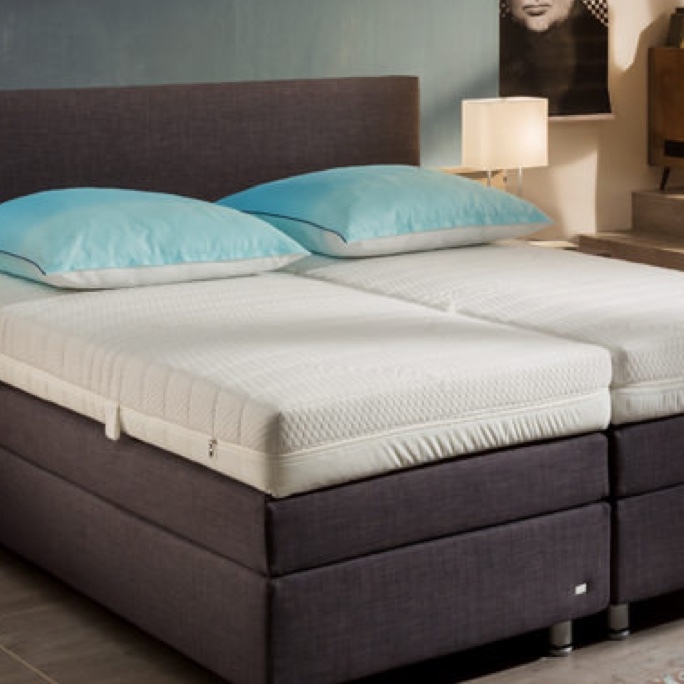 Do you prefer the classical variant, a suspension comprising mattress and spring wood frame? If so, our upholstered bed mattresses are just the thing for you. 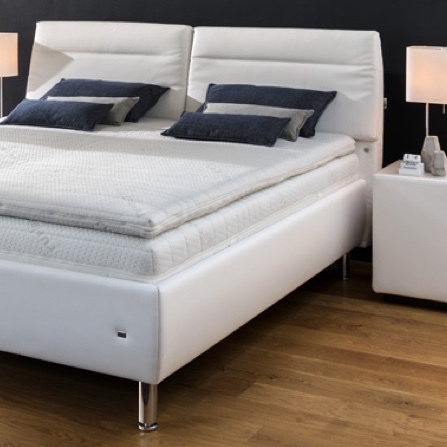 No matter which product you decide on: Every upholstered bed mattress by RUF|Betten is an LGA tested and certified quality product that will give you calm and relaxing nights. The foundation for restful sleep. Our spring wood frames are available from rigid to flexible, with narrow or wide slat spacing, with manual or electrical adjustment. All spring wood frame by RUF|Betten are designed for maximum sleeping comfort. We are confident: You will also find the right product for your back with us. Our toppers are just the thing if you want to sleep warm and softly enclosed. Or simply lie supple and soft. 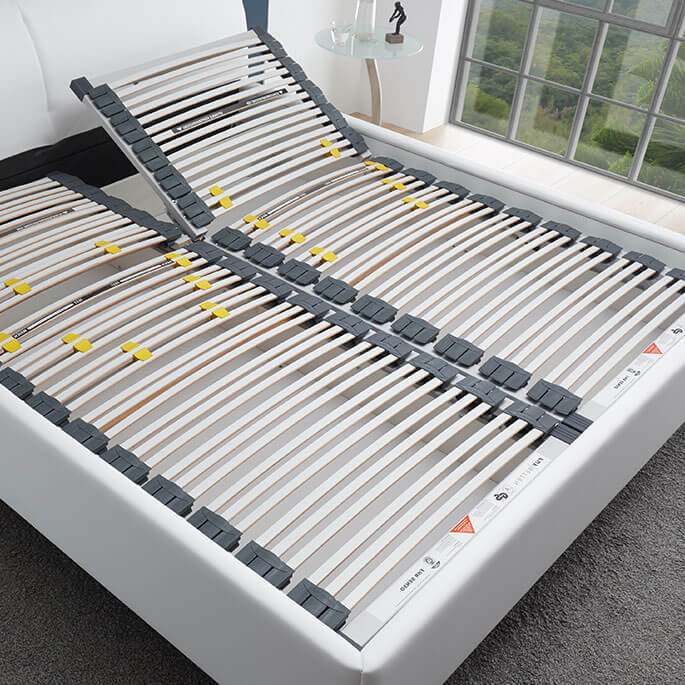 The mattress toppers are particularly suited to pressure sensitive people. They are extremely easy to handle. Simply place them on top of the mattress. Another benefit: No matter which model you decide on: They match all our box spring and upholstered bed mattresses. Our toppers are available in the widths of 80, 90, 100, 120, 140, 160, 180 and 200 cm, a standard length of 200 cm and the special length of 210 or 220 cm. To match all RUF box spring and upholstered bed mattresses.